Established in 1775, the United States Marine Corps is today celebrating 236 years of excellence. 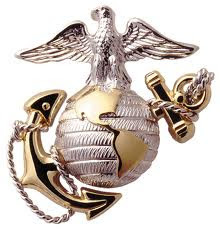 As America's first line of defense in any battle, long-time protectors of the President, and United States Embassies in all other nations, the USMC has maintained its title as "The Few, The Proud". Marines take their pledge and oath to protect our nation very seriously. Equipped with the highest and most scrutinizing training of any armed force, this elite group produces fierce fighters and model citizens. For more info on the USMC, visit them on the web.